Lake Powell, Monument Valley, Arches National Park, Canyonlands National Park, Bryce Canyon National Park and Zion National Park. Last summer I discovered Lake Powell and several of the majestic parks located in Utah. My journey made a loop through some of the most beautiful country in the American Southwest. Windows at Arches National Park. The first day was a travel day. 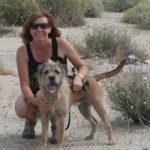 I drove from Indio, CA to the Phoenix Airport to pick up my friend Abbie, who accompanied me on this amazing adventure. From Phoenix we headed north through Flagstaff and on to the sparkling waters of Lake Powell where we stayed for two nights. 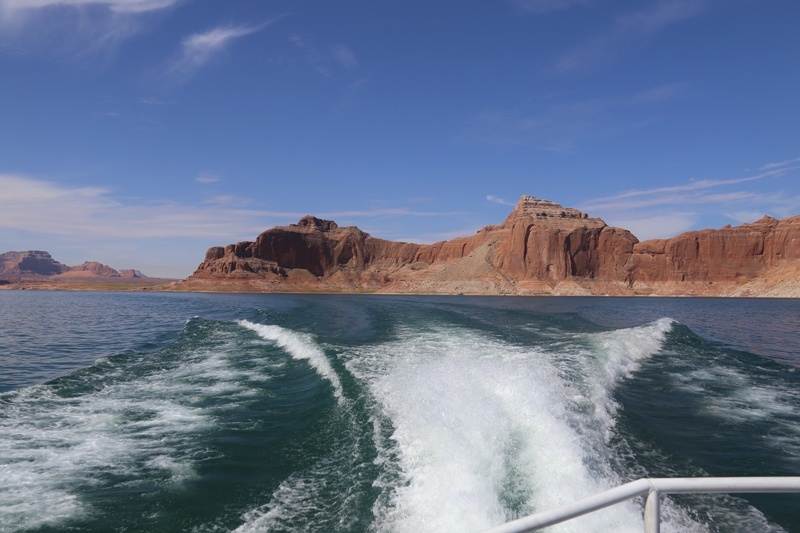 The second day was dedicated to a boat tour on Lake Powell that took us to Rainbow Bridge National Monument. Once on land we hiked approximately 1.25 miles (roundtrip) to see one of the world’s largest natural bridges. On day three of our journey we took a short hike to Horseshoe Bend, one of the most photographed areas along the Colorado River. 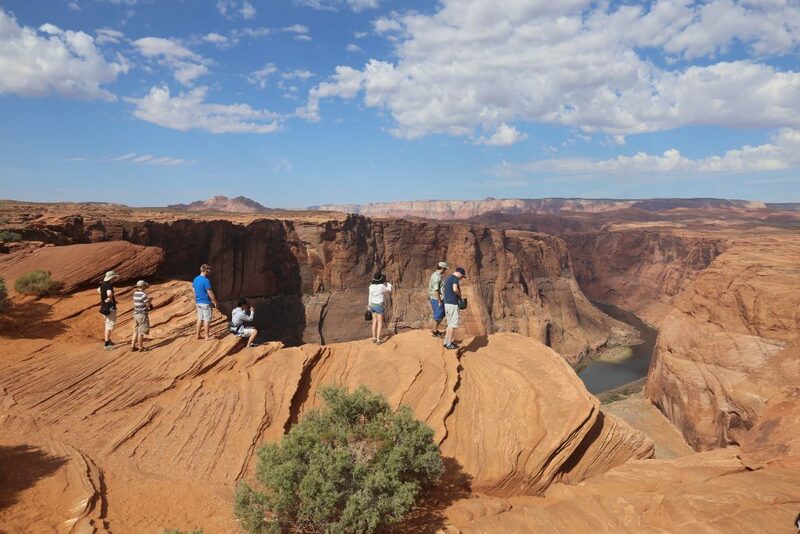 The viewpoint offers stunning views of the Colorado River below and the landscape beyond. 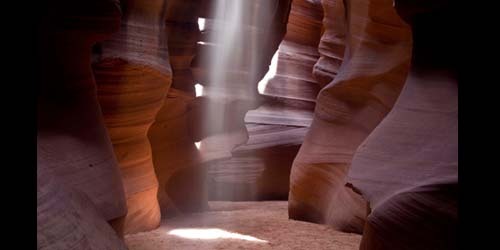 Our next stop was Antelope Canyon where we chased the light through the slot canyon to capture photos of the elusive sunbeams that often appear around midday. 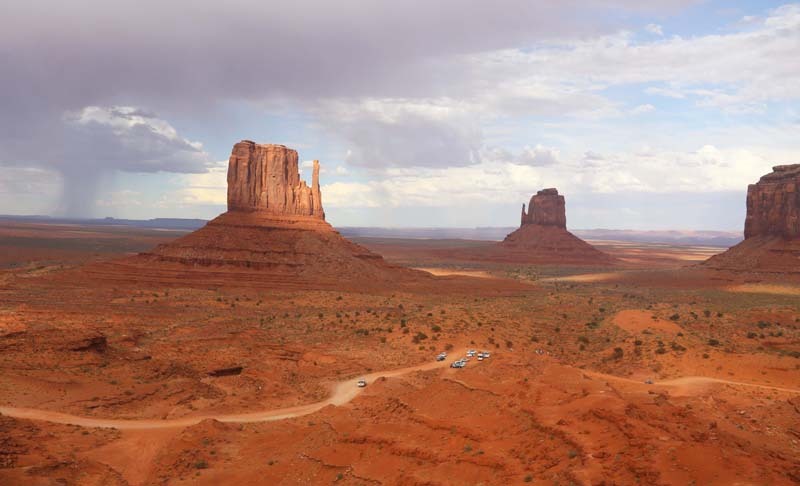 In the afternoon we headed northeast and stopped at the Navajo Tribal Park to witness and photograph the famous buttes of Monument Valley. The clouds and light played into the scene and made for some spectacular photographs. It was a long travel day; we continued on to Moab, UT. 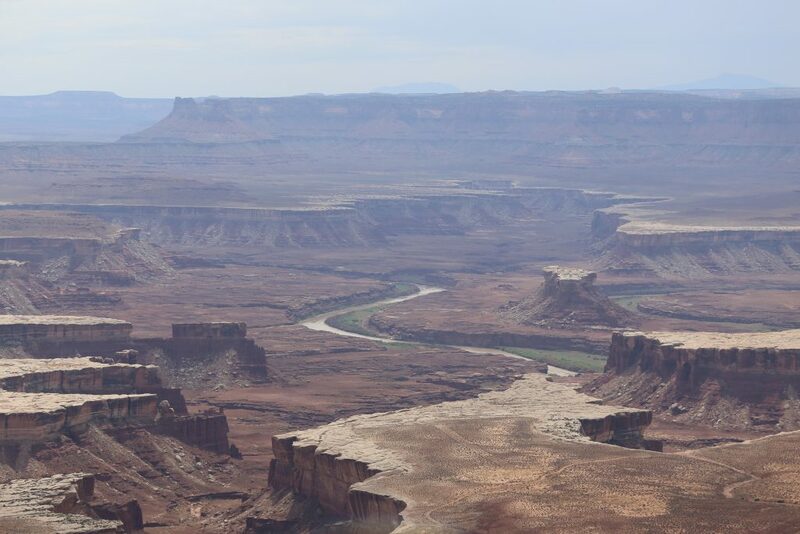 Day four was dedicated to an auto tour of Canyonlands in the morning. We made stops at some fantastic viewpoints. 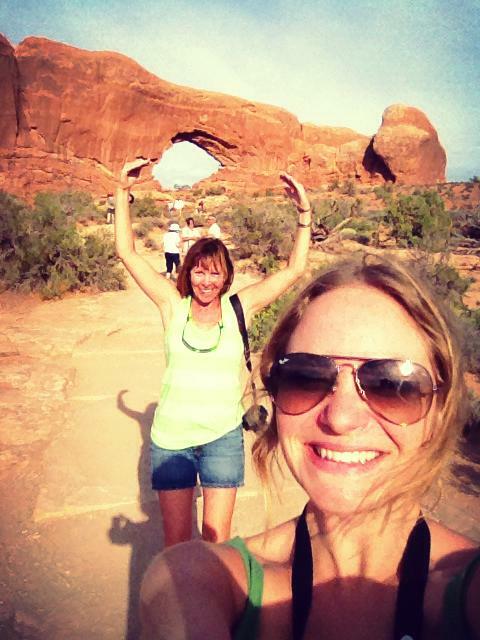 In the late afternoon we headed into Arches National Park for a sunset hike to Delicate Arch. It was the highlight of our trip. The hike was strenuous, but well worth it. 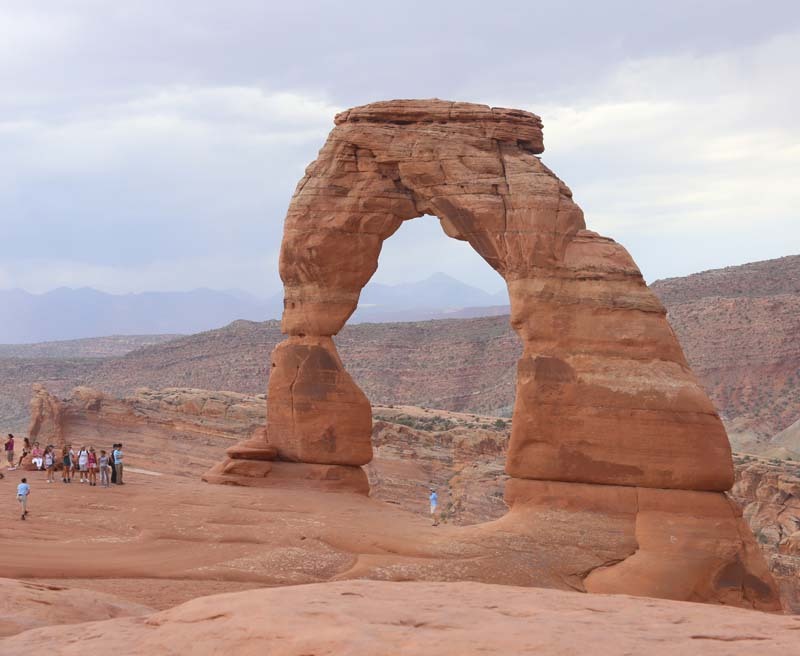 Delicate Arch was heavenly. 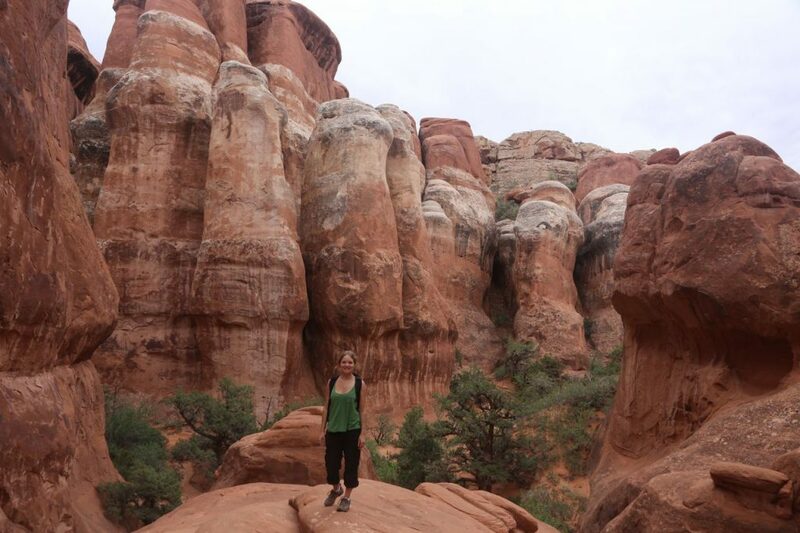 Day five started with a guided hike into Fiery Furnace at Arches National Park. The rest of the day we spent exploring Windows and several other trails in the park. Day six was a travel day. 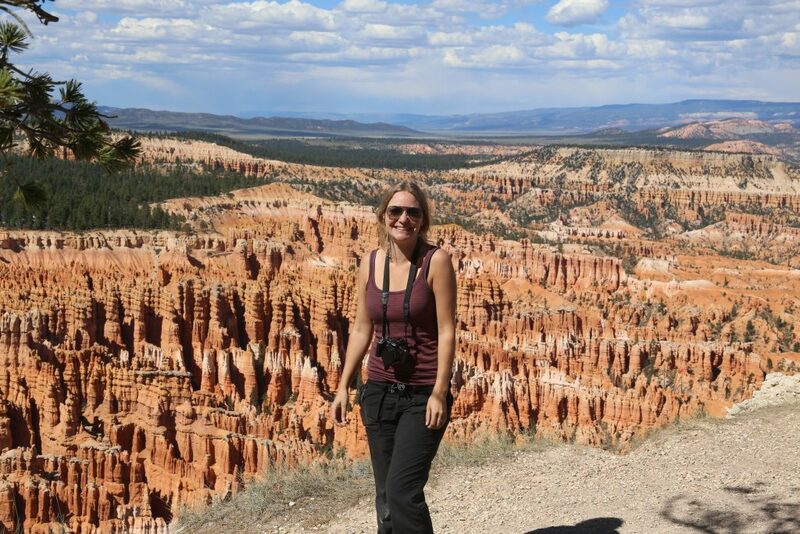 We passed through Bryce Canyon to enjoy the views en route to Zion National Park. Day seven was an amazing day of hikes along the Riverside Walk and up to the lower and upper Emerald Pools in Zion. 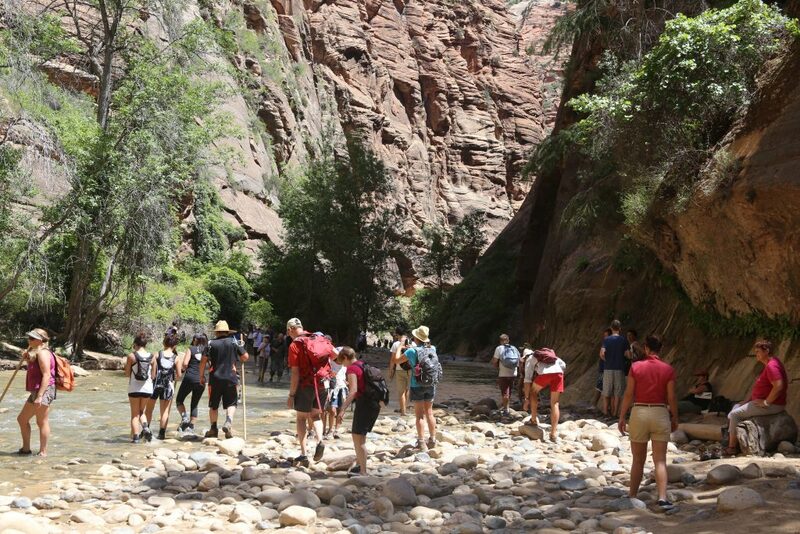 The Virgin River and Emerald Pools were a refreshing change from the dry trails we had been hiking. Riverwalk and trailhead for the Narrows Trail. On day eight it was time to head home. I dropped Abbie off at the Las Vegas Airport and returned home to Coachella Valley. I could hardly believe I had seen so many incredible places in a little over a week! Chasing the Light – Antelope Canyon Photo Tour, Page, AZ. 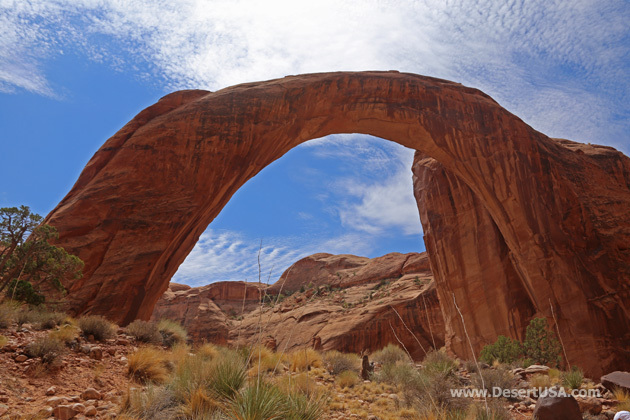 Hike Towards Heaven – Delicate Arch, Arches National Park, UT. Next articleBadwater Salton Sea 81-Mile Ultramarathon this Sunday-Monday, April 29-30, 2018!